River of Ponds just northeast of Daniel’s Harbour gets its name from the river that flows from a number of ponds in the area extending from the foot of the Long Range Mountain to the ocean. River of Ponds is a fishing community with many lobster fishers, but also boasts incredible recreational salmon and trouting seasons. The community’s first census marked 16 residents in the 1800’s to reach a high water mark of 341 prior to cod moratorium of 1992 to a population of 200 today. July 20th marked the commencement of the first ever Come Home Year celebration. A committee of volunteers planned a week of incredible events, a cook book and calendar was prepared and each family took pride in printing individualized banners showcasing the landscapes, portraits and their family namesake. It was a real pleasure to join committee chair, Mayor, and MP officially open the celebration with hundreds of family and friends connected to River of Ponds. I was happy to join the families and parade around the picturesque community. 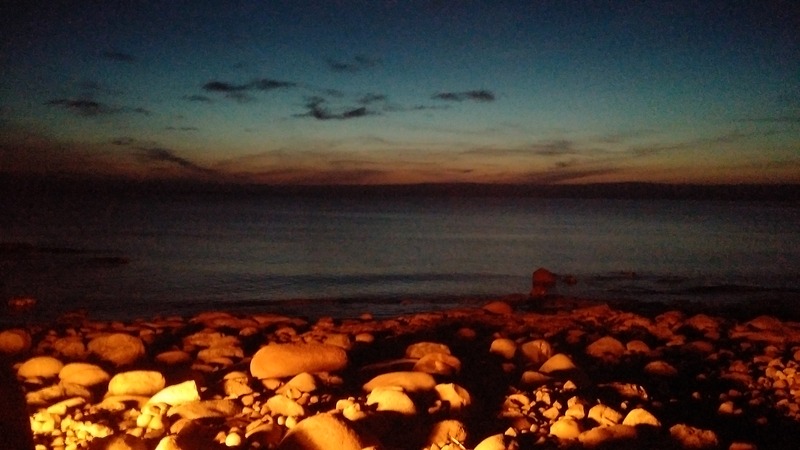 Nightfall would bring a fire on the beach and fireworks. Lots of great conversations were to be had, without a ripple on the water. Throughout the week there were bands, local talent, gospel concerts, cards, meals, baseball games and bouncy castles. River of Ponds Come Home Year provided many new memories, as old friends met and new ones were made. It clearly shows that big things are happening in small communities. Be proud of all your accomplishments and keep “Living the Dream”! The Great Northern Peninsula has a number of craft producers that are hobbyists, part-time or engaged in the business earning a living full-time. There is significant opportunity to start and even grow markets in this sector. I recently attended a workshop at 50 Centuries Interpretation Centre, Bird Cove to learn more and provide my own feedback. I was impressed by the array and diversity of craft producers at the session, ranging from two Youth Ventures participant presentations including Sami’s Cakes and Jasmine’s Nail Designs. Coordinator Sidney Coombs was on hand to talk about the businesses and willing to assist others throughout summer, providing support and advice. The Western Newfoundlandd & Labrador Developer’s Coop has an exciting idea of an on-line marketplace and also does website development. This offering will help producers have access to a space for market and entry into the on-line or digital world. These are gaps that prevent many from reaching their full market or price potential. Pricing was discussed by Craft Market Development specialist Brenda Stratton. Members of the CBDC Nortip team was also available as they hosted the session to provide business advice, counselling or financial support. Woodworking & chain maille jewelry (Robin Gosse), photography (Frank Walters), painting (George Bussey), musical & literary art (Sabrina Whyatt), quilting (Ann Cunard), snowshoe making & traditional crafts (George Elliott) & Mummers (Sheila Short) were just a sampling of what was on display throughout the afternoon. The session highlighted use of PowerPoint, Skype for virtual meeting, demonstrations and public discussion. There was a lot of engagement and interest in the room. More sessions should be held to encourage more local artists and craft producers to become involved, network and find ways to get their product into the hands of more and more customers. It was exciting to see involvement from 9 to 90. For Mr. Elliott, he extended the offer to teach others his knowledge of making traditional snowshoes. I hope someone takes him up on that offer. I remember buying some of his pieces when I owned and operated Flower’s Island Museum back in 2002. I hang one of his killicks on my Christmas tree each year. Talking with craft producers on the Great Northern Peninsula as they share their experiences is one of the unique and authentic encounters when visiting. 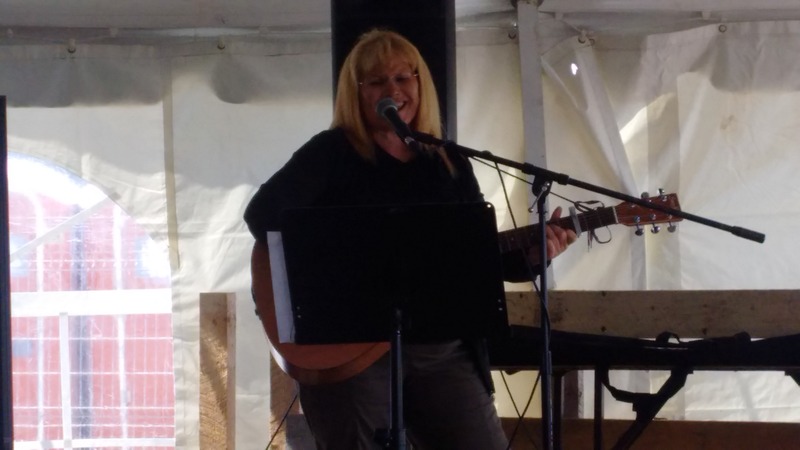 The 7th Annual Iceberg Festival kicked off its 7th season this year to a room filled with energy and excitement as the icebergs surrounded the tip of the Great Northern Peninsula. Lavinia Crisby was the emcee and set the stage for laughter, fun and engagement with her ability to connect with people over the course of the event. I had the opportunity to speak with those travelling from Germany, Nova Scotia, Alberta, Florida and other parts of world as they gathered to celebrate the pristine beauty of the iceberg – which has been 10,000 years in the making. The local Tim Horton’s in St. Anthony produces exclusively the World’s only “Iceberg” donut. The region is known for its iceberg water, iceberg ice and the Richard’s family of St. Carol’s who has been famously coined the Iceberg Hunters with their own series played on the USA Weather Network. Local crab from St. Anthony seafoods was cooked and given away to sample – this was absolutely the freshest means to get such a product already cooked for those visiting, from local fisher to local processor to consumer. Many local restaurants sell local fish products, including our locally grown mussels. One could watch sculptor Shawn Rumbolt carve an image from an iceberg with a chainsaw. 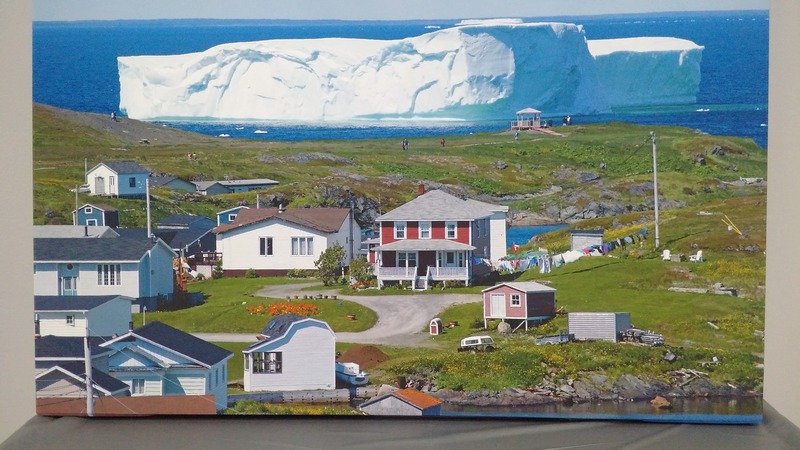 Learn to paint an iceberg with artist George Bussey on a rock and have a souvenir to takeaway and of course enjoy the traditional music of Calvin Blake, Adam Randell and Brandon White this year known as “The Growlers”. Many were on hand to try to name some noise using the Newfoundland ugly stick, share in a scuff or two across the floor and join in singing a known song. We were treated to Calvin Blake’s Iceberg song once more and like his words a rumble and a roar – the opening was just that, clearly a must attend event. There are still several days before the Iceberg Festival this year ends, but its never too early to begin planning for June 2016! Visit: www.theicebergfestival.ca for more information. A special thank you to all involved, especially the organizing committee for making it all possible.